Mad Father is a free downloadable game made within the Wolf RPG Editor by Sen (The Miscreant's Room). 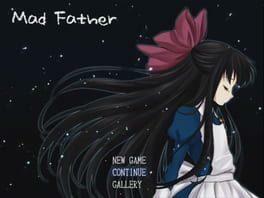 It is a horror-puzzle game that follows the experiences of a young German girl by the name of Aya Drevis. Originally released in Japan, it was translated by vgboy (vgperson ) who also translated games such as Ib and The Witch's House. Mad Father is available from 4.99 to 4.99 from 1 shops.